As your husband’s new leading lady, it might be a little intimidating to meet his first love – his mother. 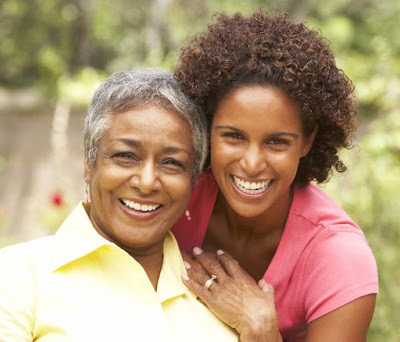 While getting your mother-in-law’s approval can be tricky, the effort is certainly worth it. the mother-in-law, daughter-in-law relationship is “the most critical relationship in any family system.” If you’re looking to get into his mom’s good graces, it’s probably not as hard as you think. If your mother-in-law is popping in for a weekend visit, don’t freak out – she’s probably not there to check up on your housekeeping skills or your mothering tactics. Believe it or not, your mother-in-law is visiting just to spend time with your husband, your kids and (gasp!) you. Treating the visit as anything other than a well-meaning visit will just put you on edge and prevent you from opening your heart to someone who could potentially become a close friend and confidant. Feel like you don’t have anything in common with your mother-in-law? You two share one big commonality: You both think the world of her son (and your husband). Like any doting mother, your husband’s mom can’t help but love anyone who raves about her offspring – and, consequently, validate her parenting efforts. Be specific in your praise. Tell your mother-in-law exactly what makes your husband the greatest man to ever walk the planet – whether that’s because he treats you like a princess or that he just really knows how to clean a bathroom. It may seem like common sense, but many a possessive wife has tried to chip away at the mother-son bond. If your husband and mother-in-law have a special tradition that just involves the two of them – like a birthday lunch or a holiday play – let it be. Don’t take the non-invitation as a slight and definitely don’t invite yourself; mother and son deserve some one-on-one time, too. You already know that raving about her son will endear you to your mother-in-law. Adversely, complaining about him could cause her to put up some serious emotional walls. Like it or not, your mother-in-law is personally invested in your husband’s character and personality, so if you need to vent, find a less partial listening ear. From the way you make the bed to how you wear your pearls, you hate it when your husband compares you to his mother. But guess what? She doesn’t welcome the comparisons either. So if your mother-in-law’s pot roast is different than what you grew up with, eat it (both your words and the actual roast). Comparing your husband’s mother to your own isn’t going to help the two of you form a personal bond unique to the two of you. What’s in a name? To your mother-in-law, a lot! It might feel wholly unnatural to you, but don’t write off the idea of addressing your husband’s mom as your own. Out of sight should never mean out of mind – especially when it comes to your mother-in-law. Building a relationship takes some face-to-face effort, so if your husband’s mother lives out of town (or out of the country), be willing to shell out the dough for airfare. She’ll welcome the visit, and chances are you’ll find you share a lot in common when you’re able to spend some quality time together.